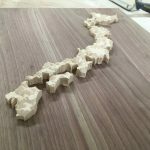 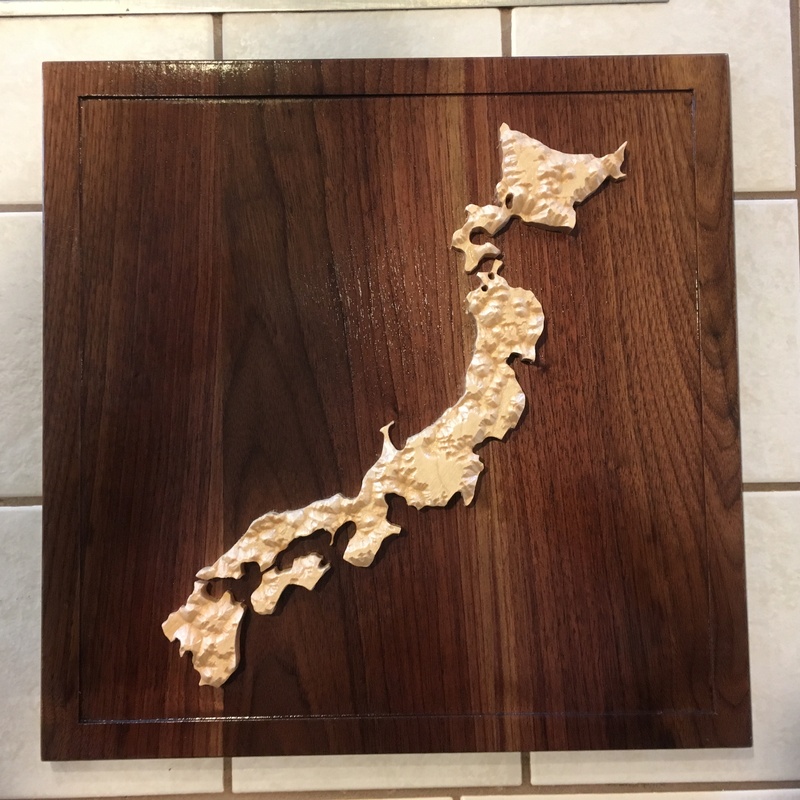 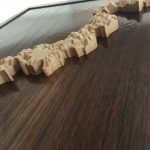 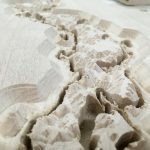 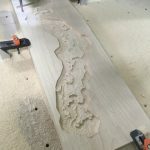 For my workplace Secret Santa gift exchange this Christmas (you know, the one that very recently took place), my recipient was a Japanese citizen who likes to hike, so I made him a 3-D topographic map of Japan out of maple and walnut. 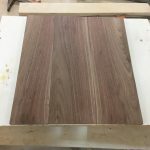 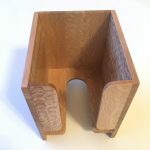 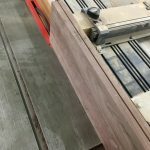 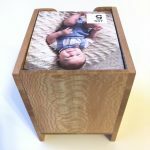 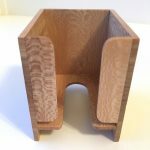 The steps to build it were pretty simple, so I won’t caption all the photos, but basically, I glued up a walnut panel, carved Japan out of maple with my CNC router, and then magically conjoined them. 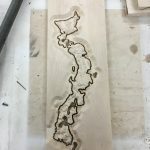 Tada in Japanese! 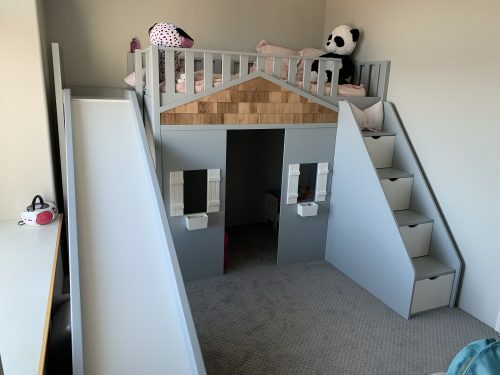 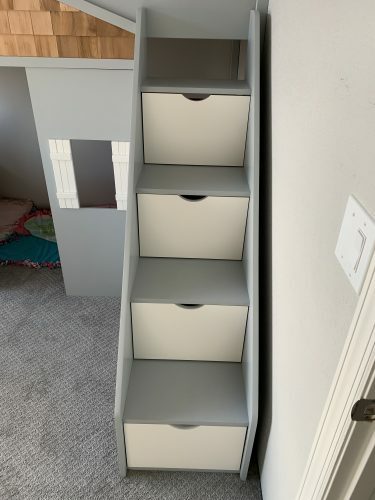 The stairs have built-in drawers, so they double as a dresser. The bottom three drawers don’t run the full depth of the stairs, so there’s space at the back for books and baskets. 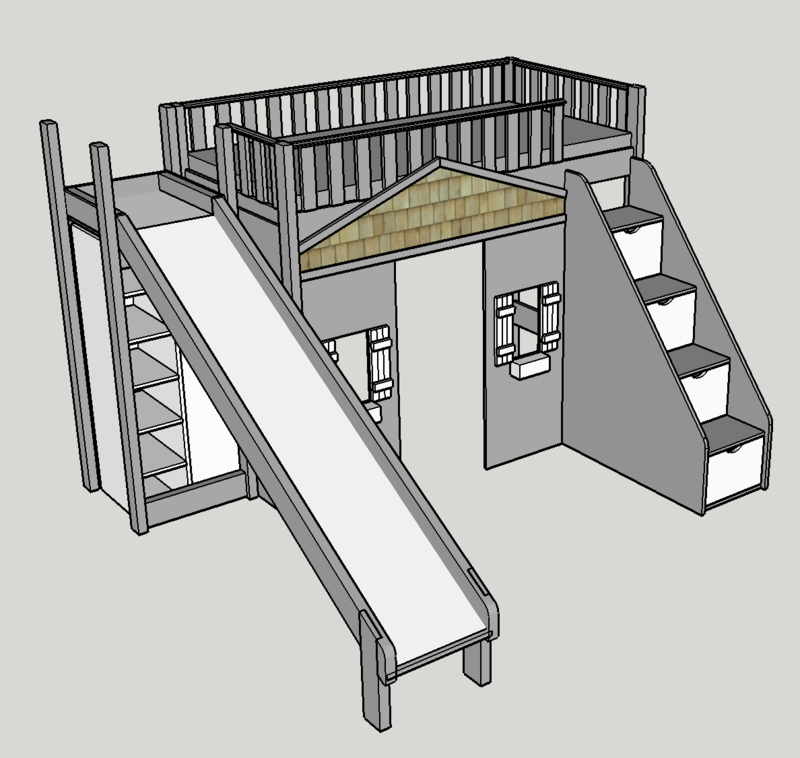 …and the other side is accessible from under the slide. The slide is made of melamine, the structural portion of the bed is poplar, and most everything else is MDF. 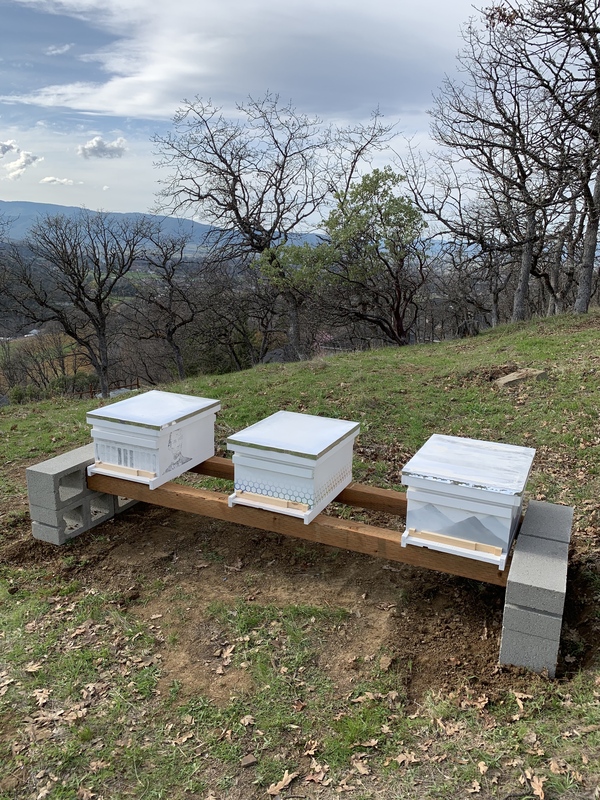 The cedar shingles were left over from my Infinity Wishing Well project. 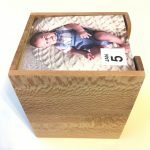 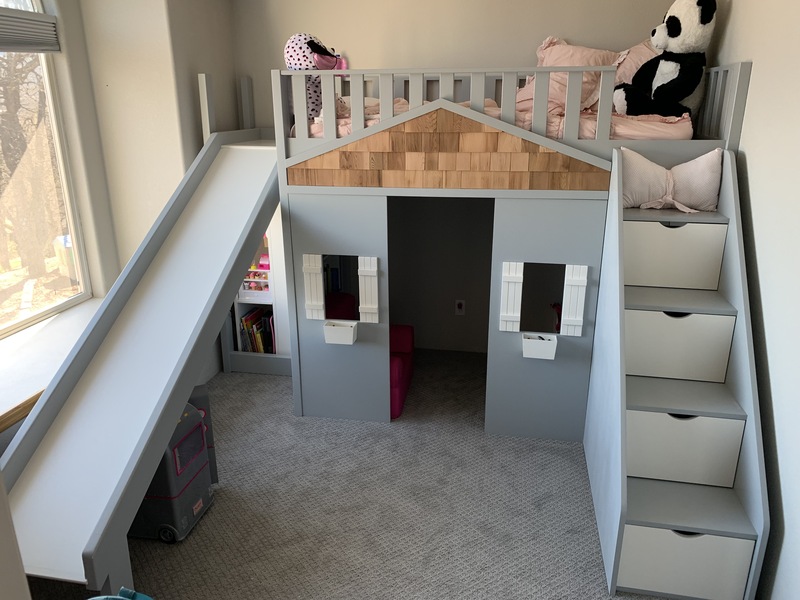 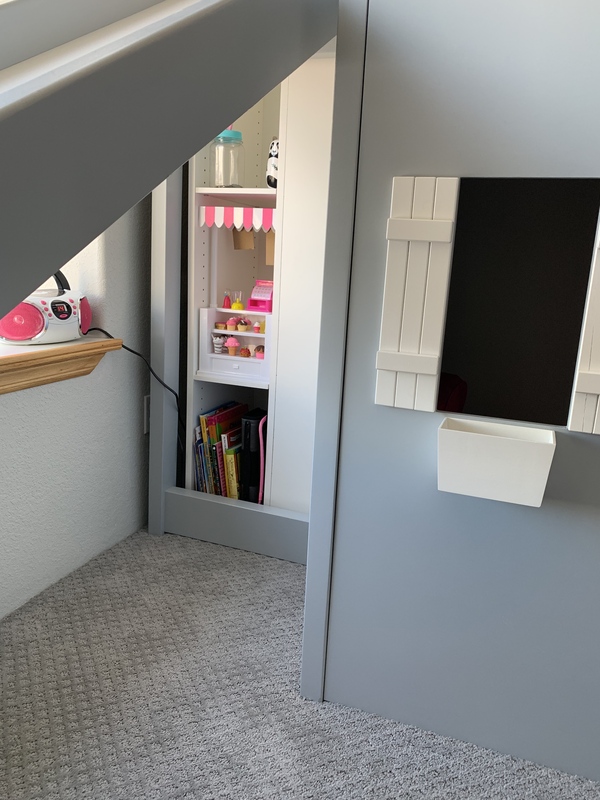 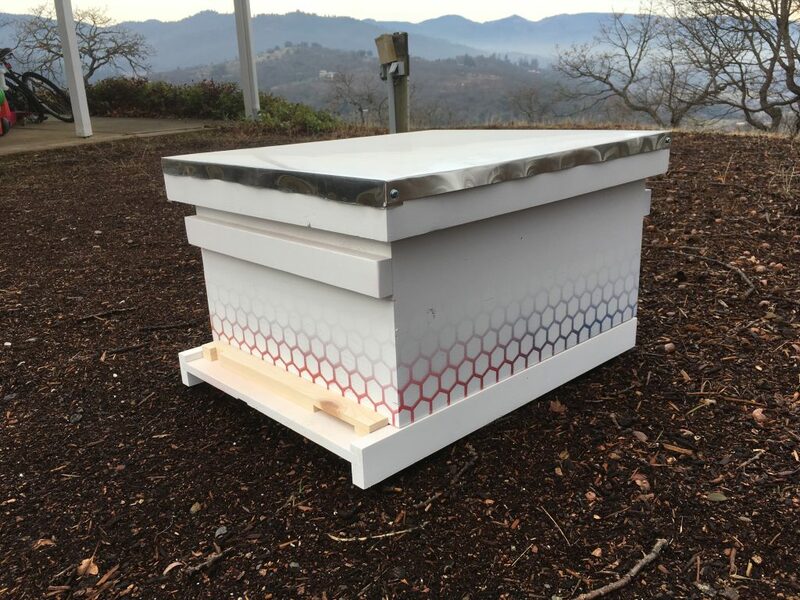 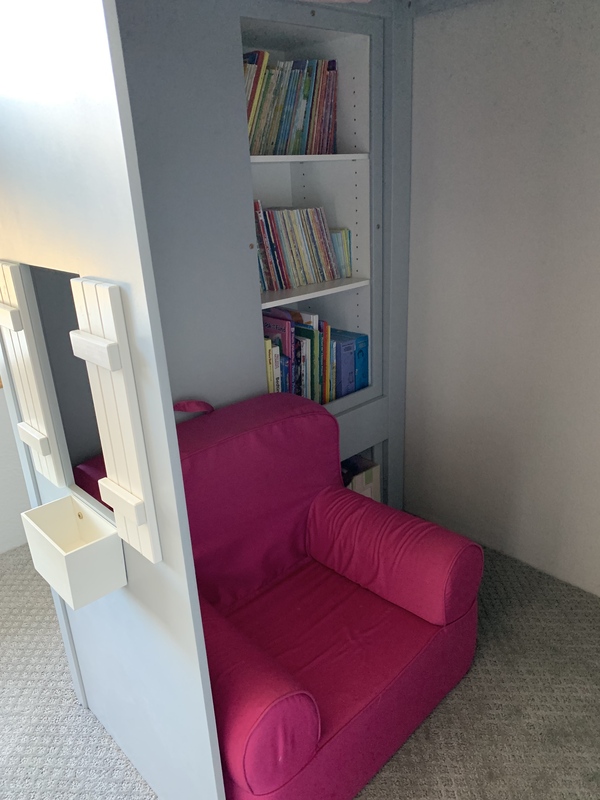 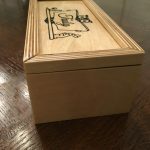 From start to finish (although not including the time to design it), this project took 107 hours over two months — well worth it, considering my daughter will spend at least 3,000 hours using it every year. 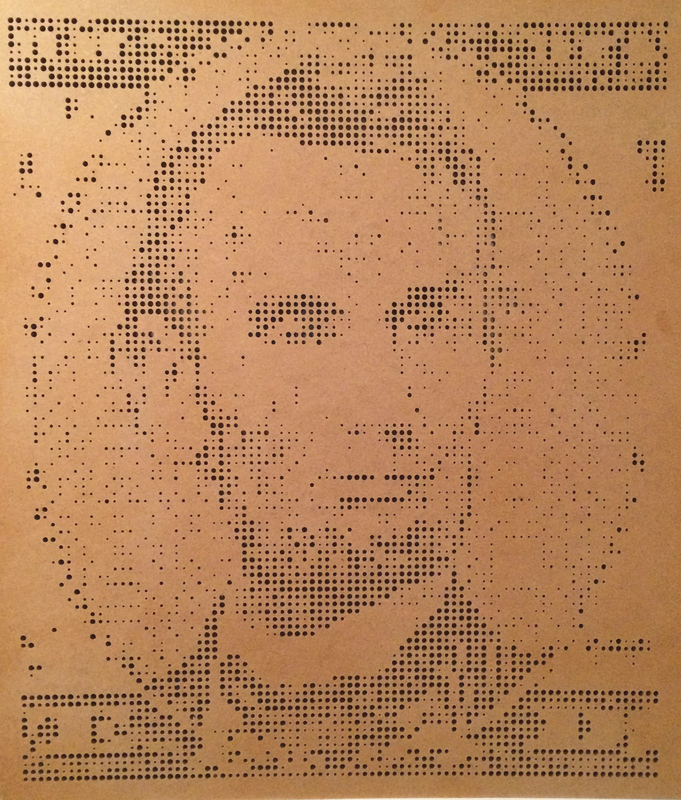 Halftone is an app I’ve written for making halftone-style carves with Inventables’s Easel CNC design platform. 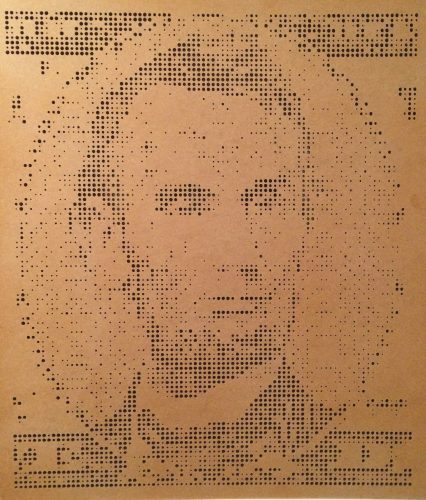 A halftone image uses different sized dots to represent light and dark areas. 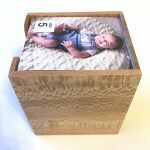 Upload an image, and Halftone will convert it to a grid of holes with each hole sized to reflect the brightness of the image at that point. 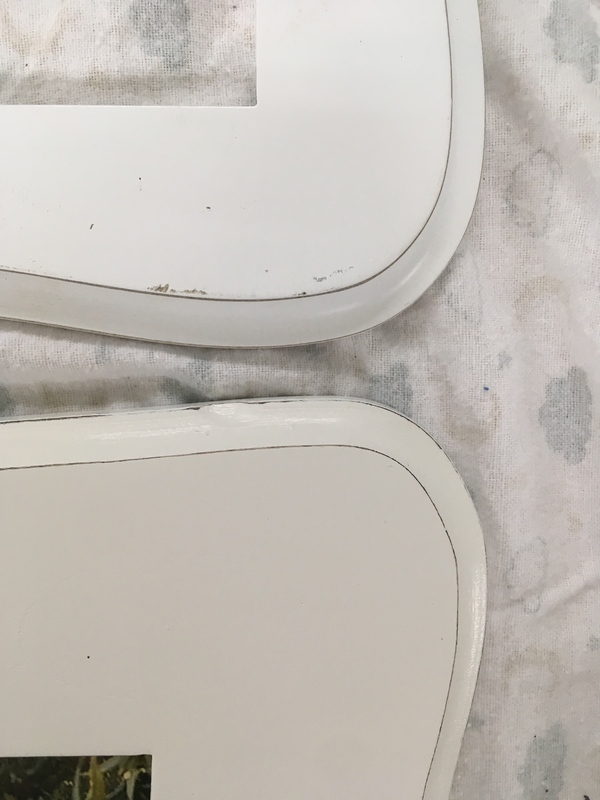 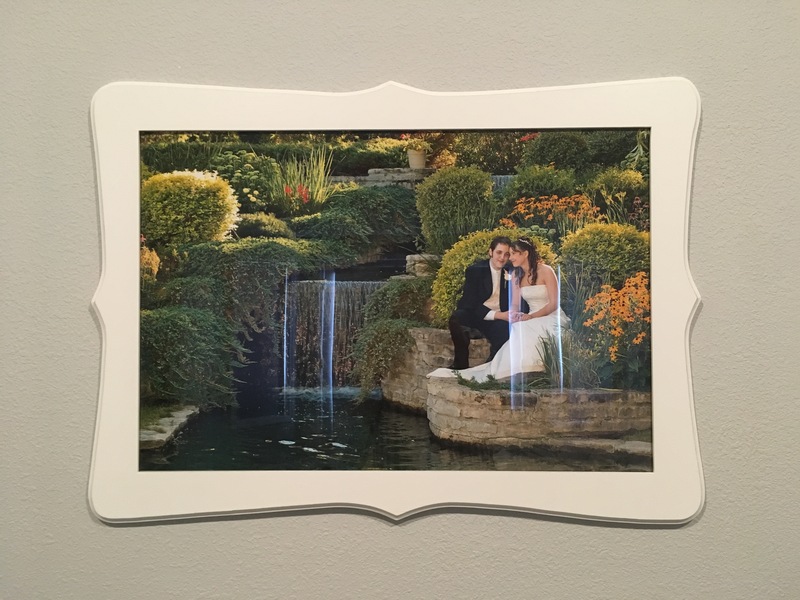 Darker areas are represented by wider holes; if you’re going to backlight your carve, you can invert it and have lighter areas use wider holes. 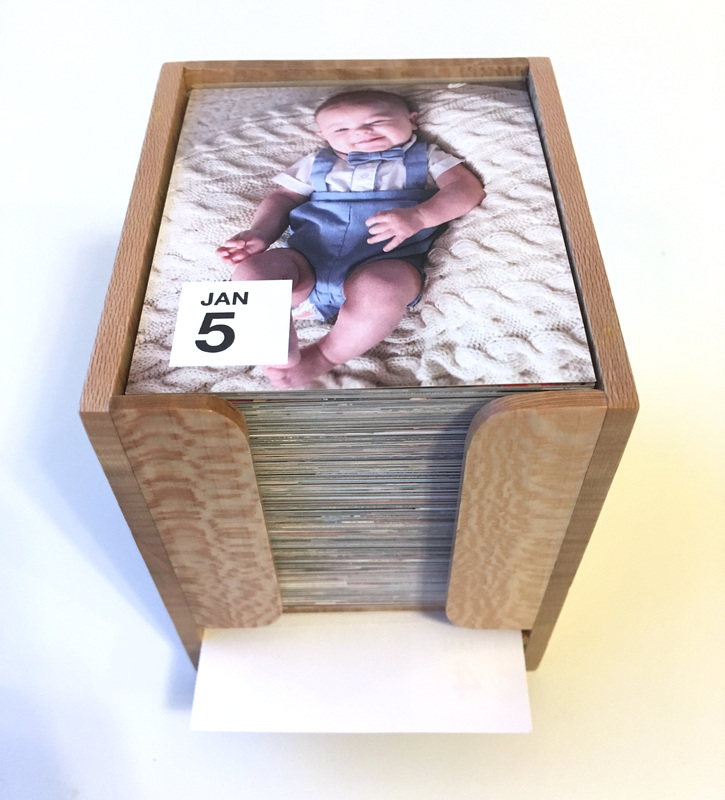 We bought a photo-a-day calendar for 2019, but because it didn’t come with any sort of stand, it was in danger of getting broken apart prematurely. 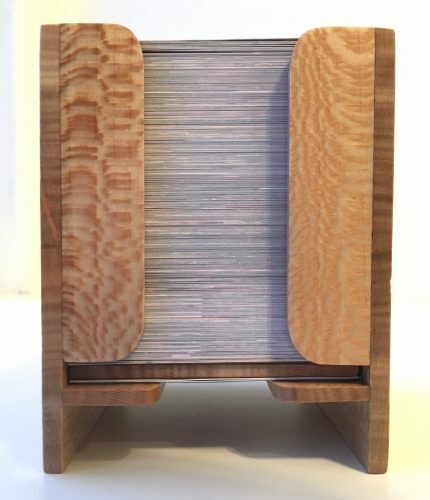 I made this stand for it that doubles as storage for the used pages so they can be used as a notepad. 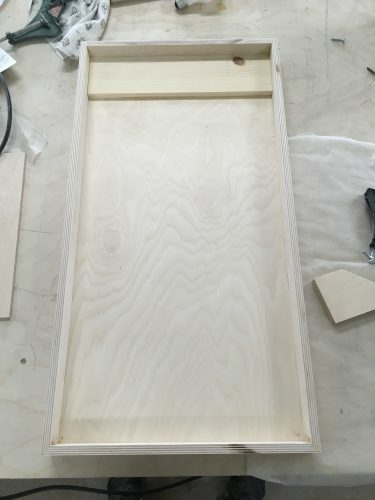 I made this stand out of an interesting block of wood that was given to me by a friend. I don’t know what type of wood it was, but its coloring is pretty similar to red oak. 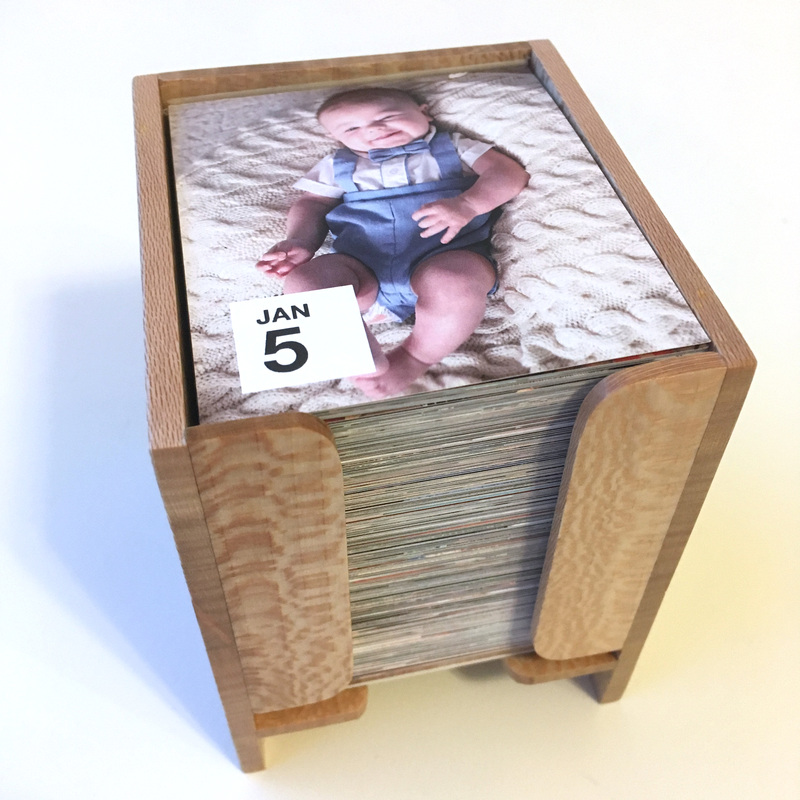 For scale, the calendar is about 3″ square, and the sides of the stand are 1/8″ thick. 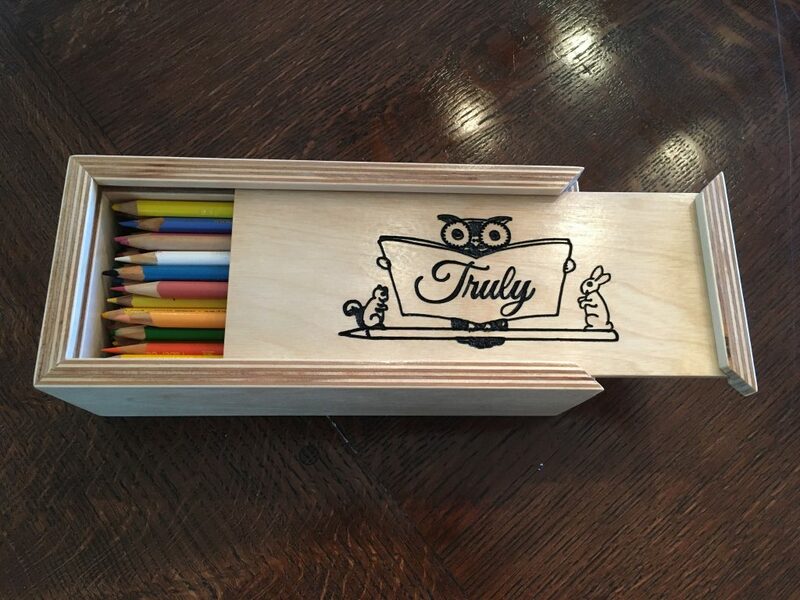 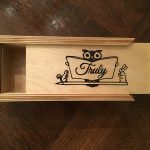 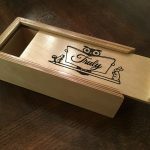 I made this sliding-top pencil box for our three-year-old goddaughter. 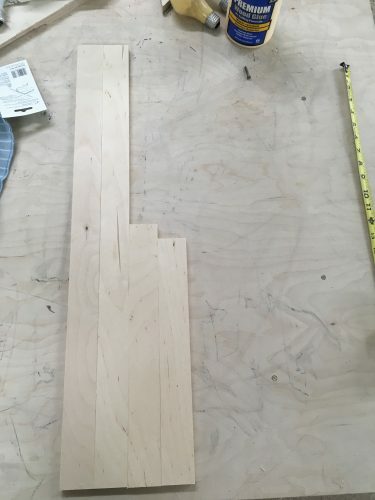 It’s all Baltic birch; the sides are half-inch and the top is quarter-inch. 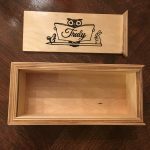 I carved the design with my X-Carve, painted the carved area, and then finished the entire box with a spray enamel clearcoat. 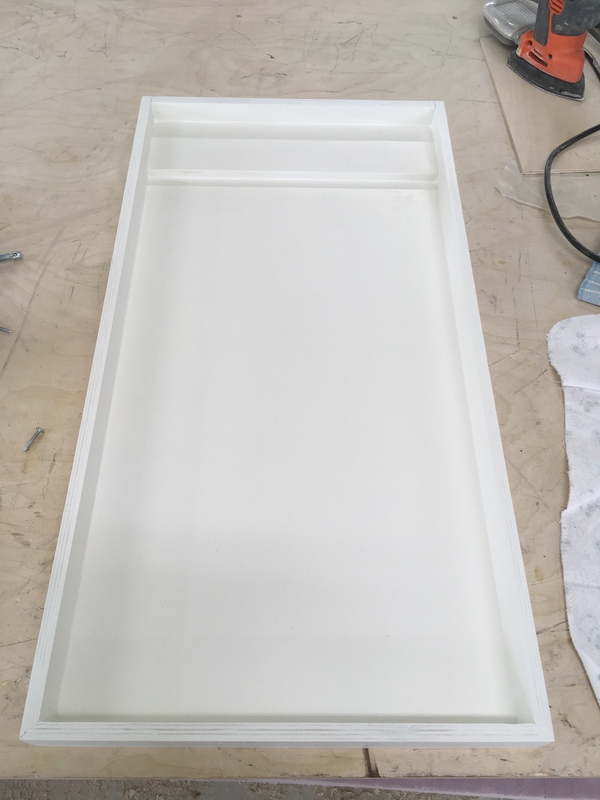 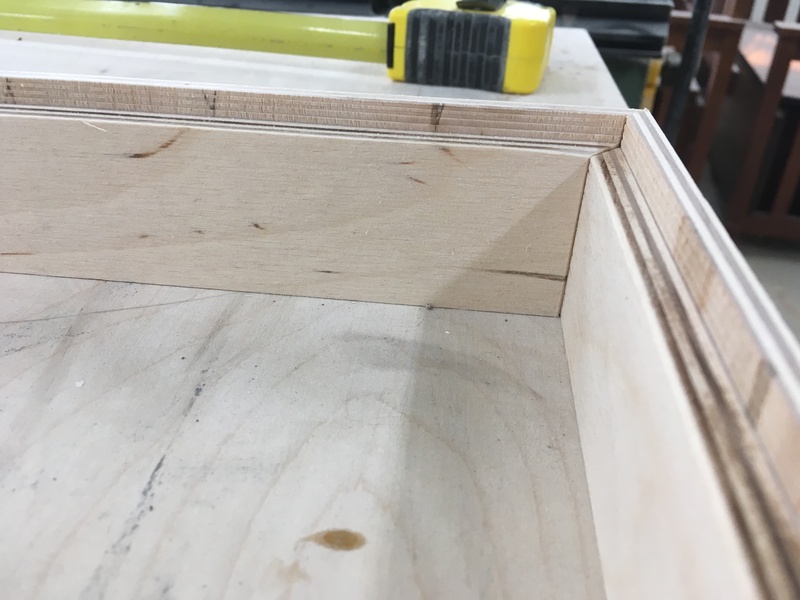 The cabinet box itself is only 1 3/4″ deep. 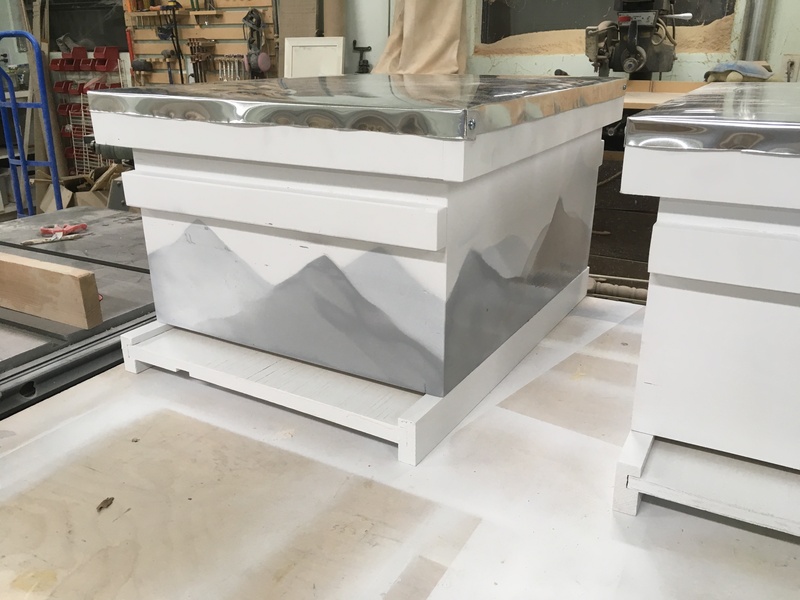 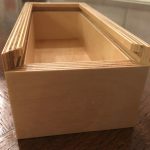 These are the four sides; the top is shorter because it won’t be mitered, since the top of this box will be hidden in the final product. 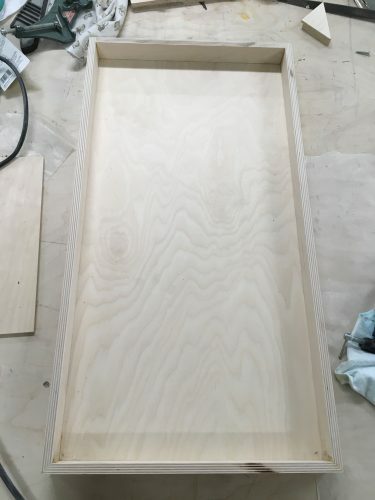 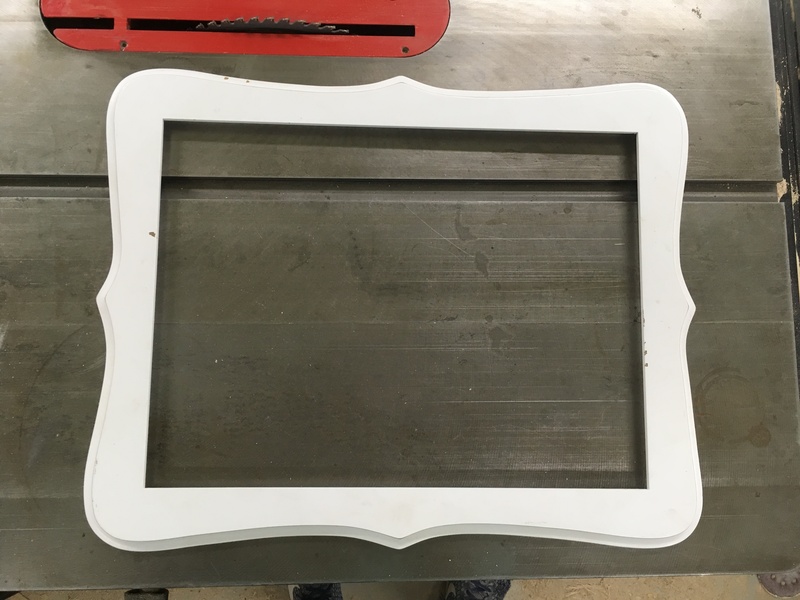 I cut a rabbet into the back of the sides so that they could accept a quarter-inch piece of plywood for the back of the cabinet. 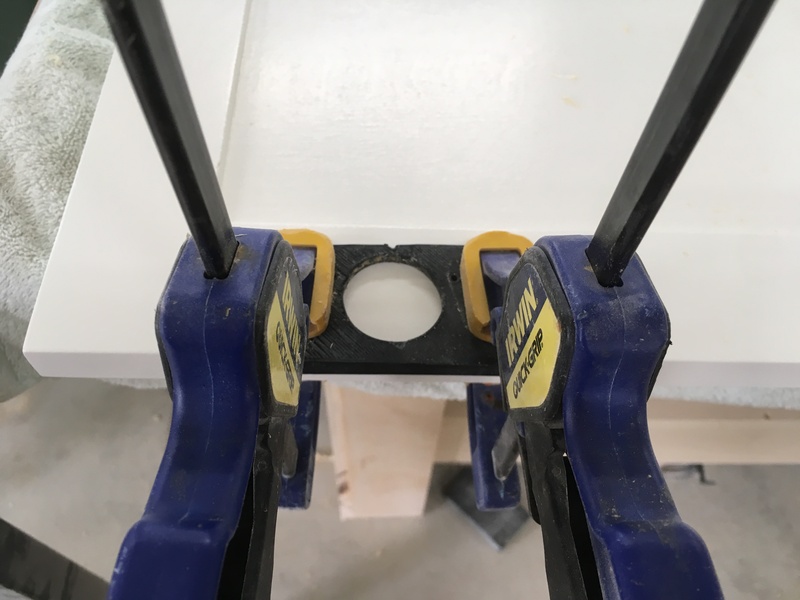 I love my 90º clamps. 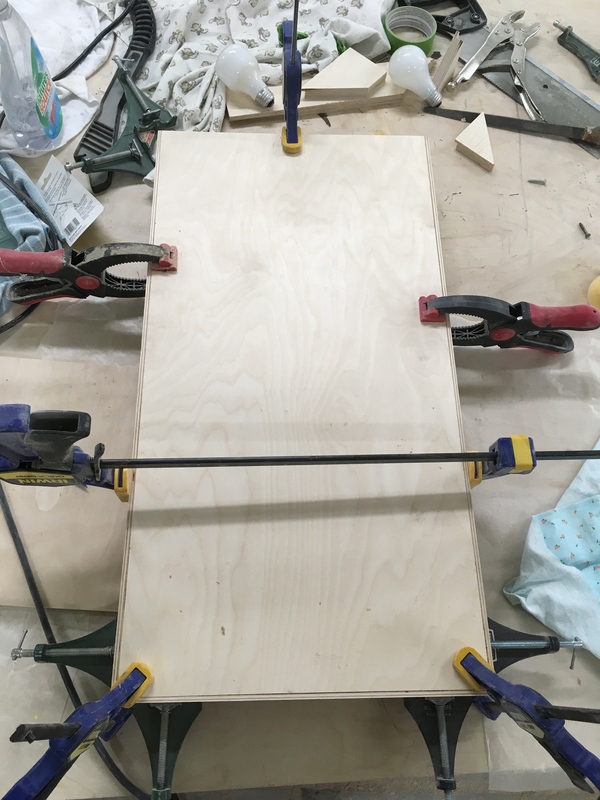 I would love to have more clamps too. Here’s the main box after being glued up. 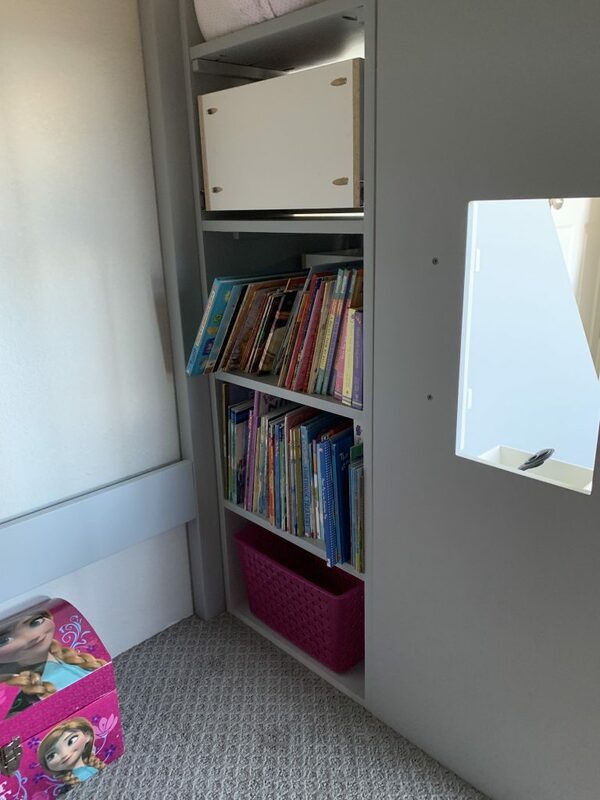 I added this half-inch pine board so the hooks (for hanging necklaces) would have something to screw into and to keep the hanging jewelry away from the back of the cabinet. 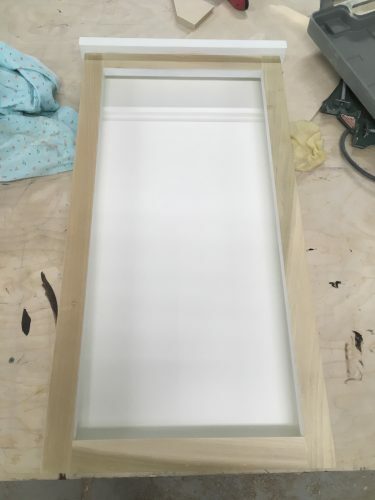 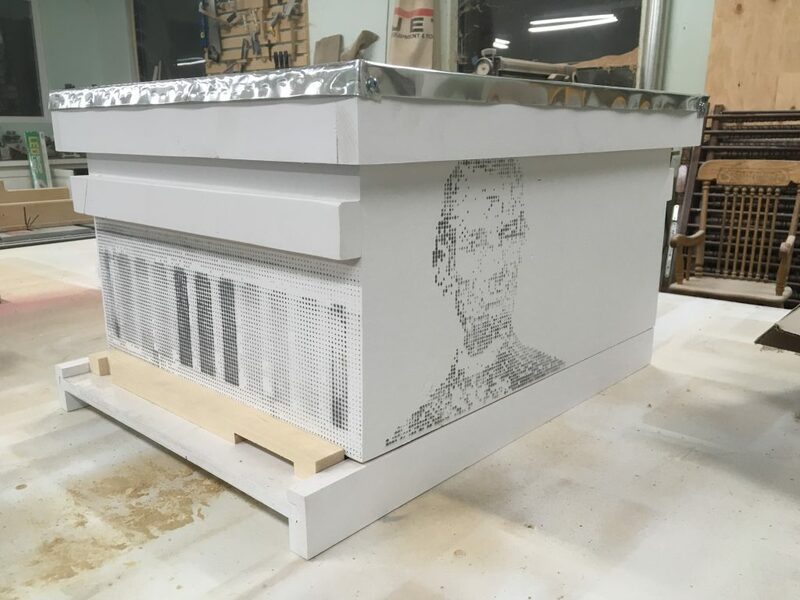 I painted the interior of the box at this point because it would be very hard to reach with a brush or sprayer after installing the face frame. I’m not sure why I didn’t install the top board before doing these coats of paint, but I guess I did it at this point. 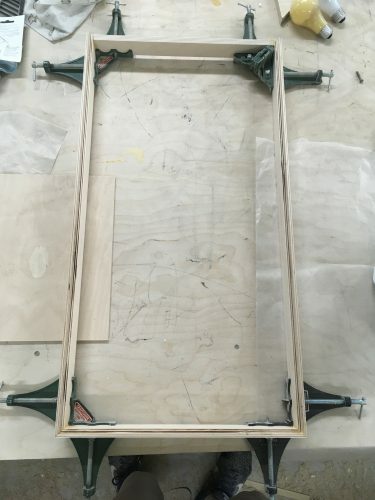 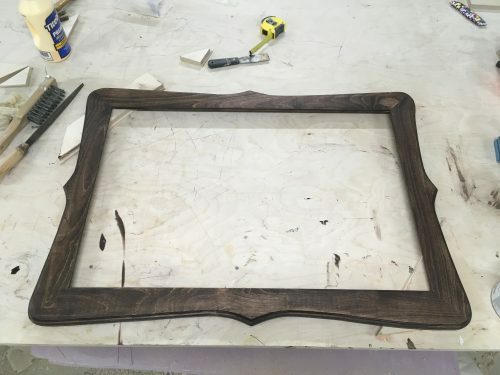 Here’s the assembled face frame, made of 3/4″ poplar. 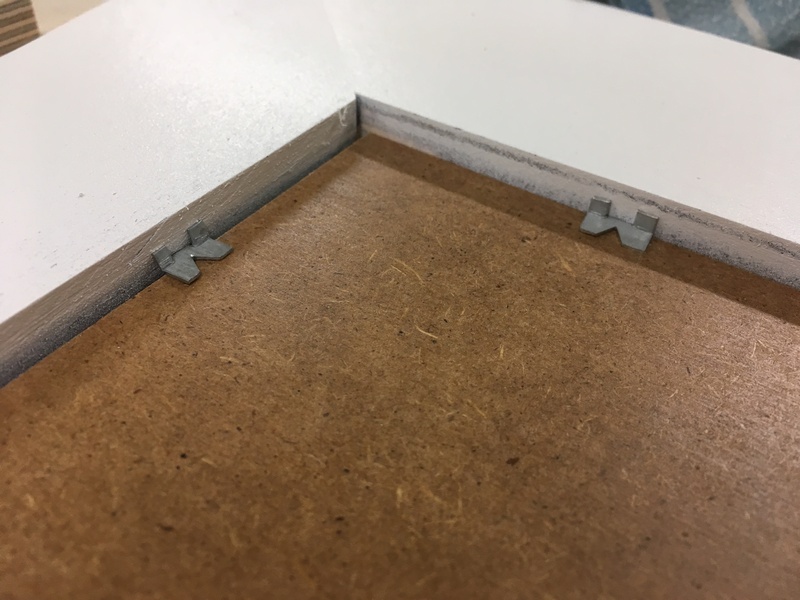 I don’t normally fill any of my pocket holes, but I had four plugs that came with my Kreg jig forever ago, and these holes might have been accessible to dust and lint inside the cabinet if I left them open. 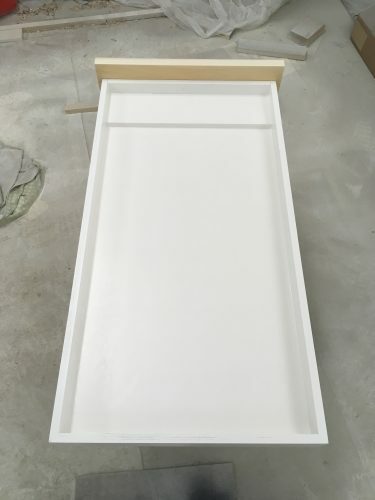 I then gave it another three coats of white semi-gloss. 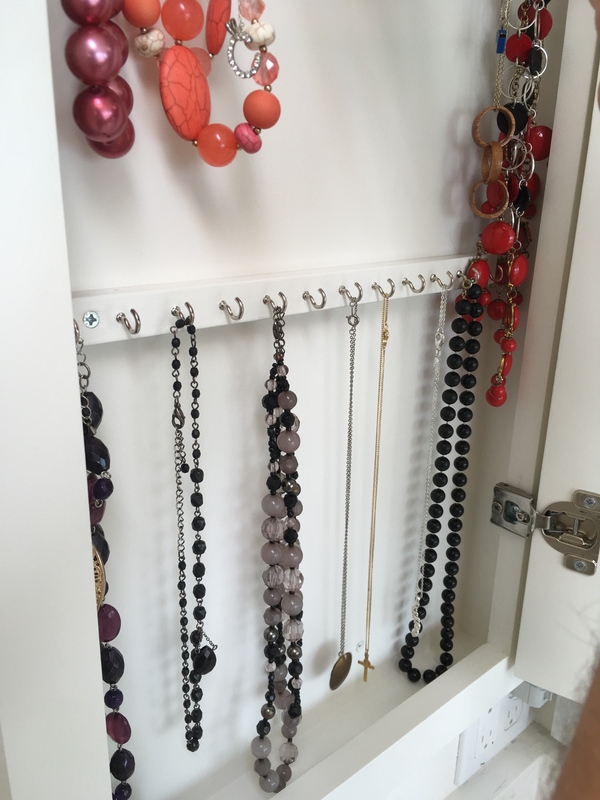 I installed the hooks in two rows, with each hook an inch from its neighbor. And I hung it up in the bathroom while I worked on the door. 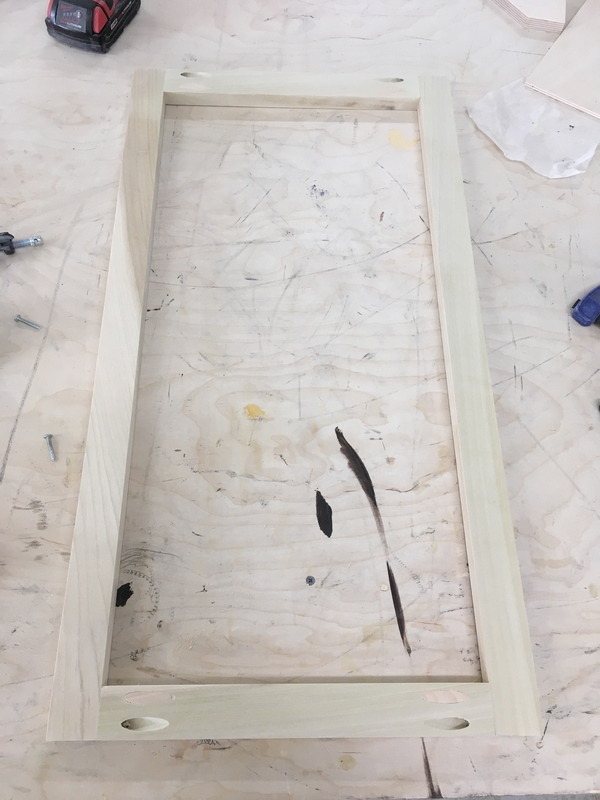 The door was built using cope and stick joinery. These are the four sides; I cut the groove and tenons with a dado stack on my table saw. 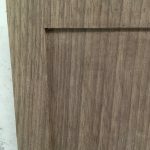 The groove is a half-inch deep and a quarter inch wide, and the tenons are sized to fit perfectly in the groove. This is how they go together. 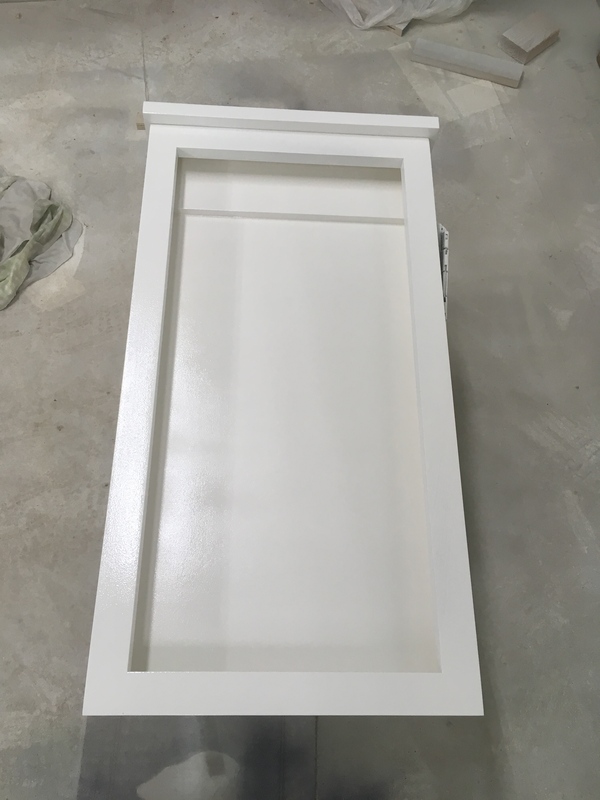 Pretend that I also took a photo of the door after inserting the plywood panel and gluing it all up and painting it, because I forgot to do that. 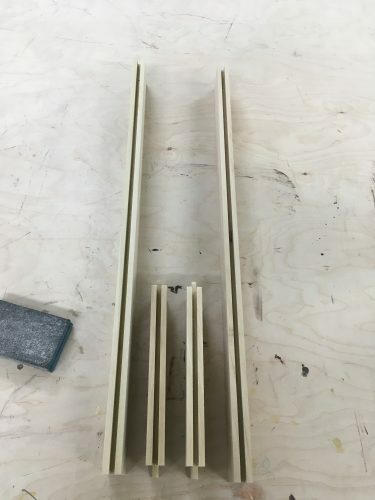 This is a jig I 3D printed to help install the hinges. You drill a hole in the hole, and then the hinge fits in there. 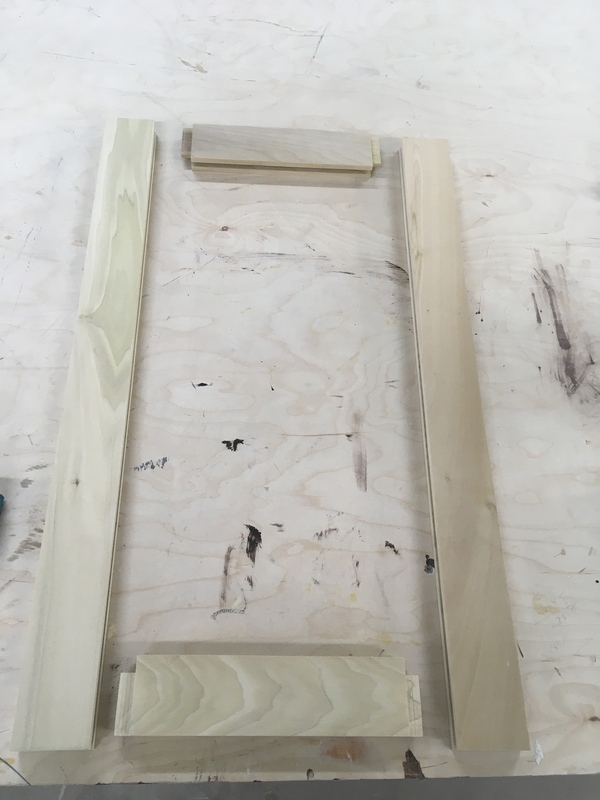 I added a handle to the door, and boom: a door with a handle. 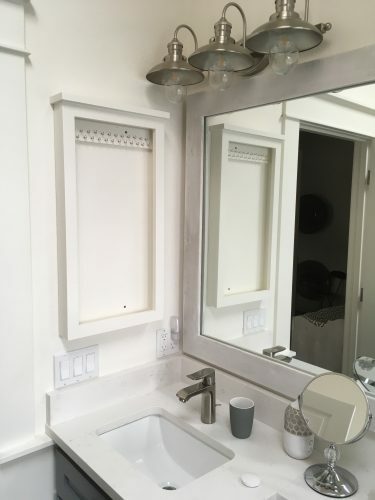 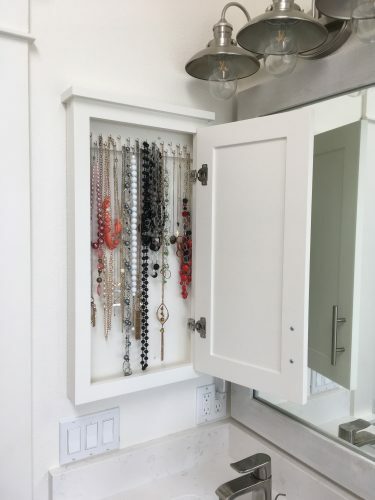 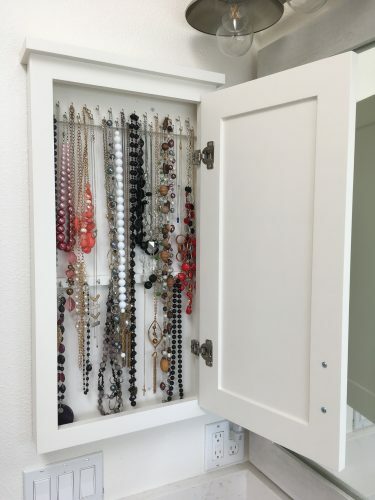 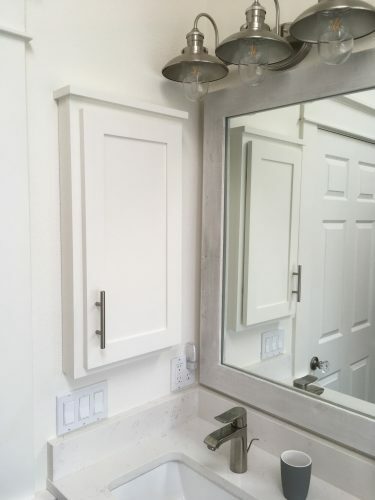 See how easily the jewelry hangs from the hooks? We decided that the cabinet could use a second row of hooks about halfway down, so I made a second row of hooks about halfway down. 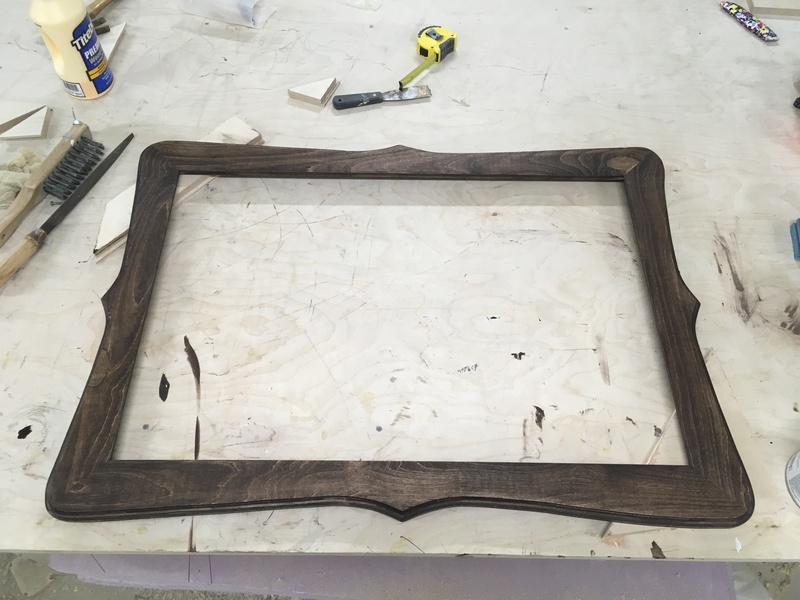 Then I drew the scalloped shape, cut it out with a bandsaw, cut a cove into the edge, and stained it with Varethane’s Kona stain. 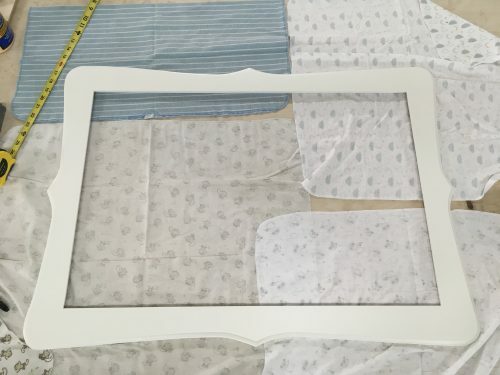 I used window glazing points to secure the backer board. 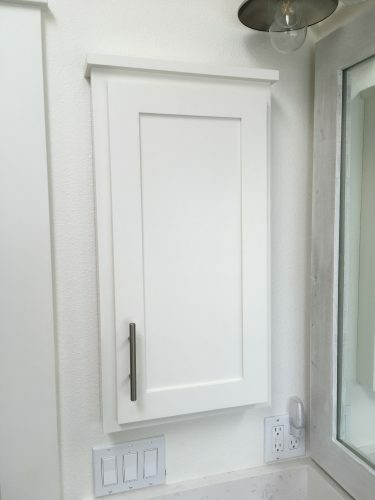 And then I hung it on a wall. 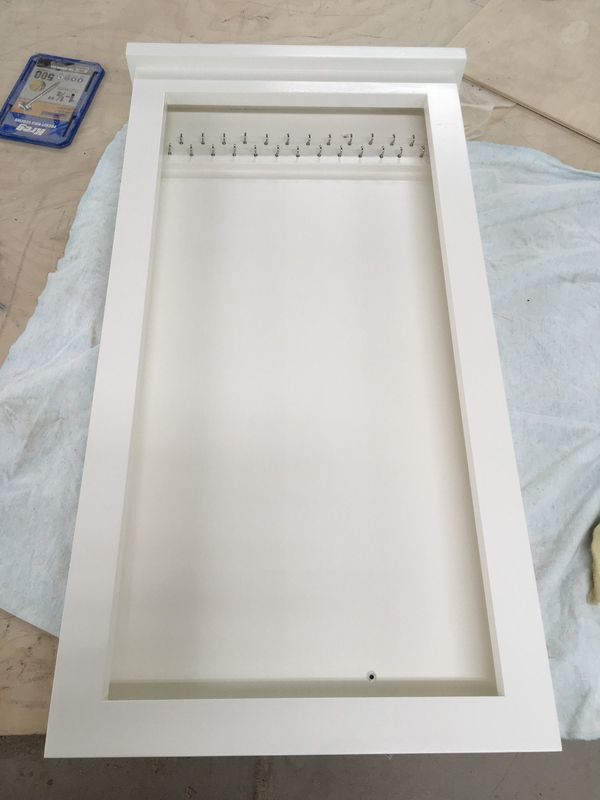 The end!